Following on the heels of the successful New Testament for Everyone commentaries by N. T. Wright, John Goldingay, an internationally respected Old Testament scholar, authors this ambitious Old Testament for Everyone series. 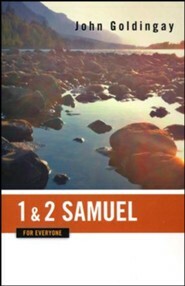 In 1&2 Samuel, Goldingay addresses the texts in such a way that even the most challenging passages are explained simply. Perfect for daily devotions, Sunday school preparation, or brief visits with the Bible, the Old Testament for Everyone series is an excellent resource for the modern reader. John Goldingay is David Allan Hubbard Professor of Old Testament at Fuller Theological Seminary in Pasadena, California. He is an international authority on the Old Testament. Goldingay brings to the task his great learning, his deep passion for faith, his informed imagination, and his attentiveness to contemporary life. This series truly is for everyone who wants to grow in his or her understanding of the Old Testament. 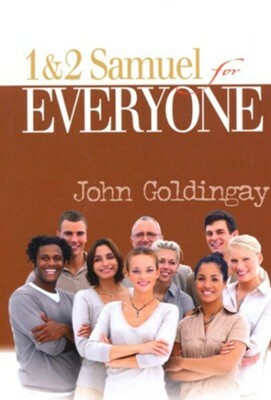 Goldingay writes for everyone as a master teacher, pastor, and friend. Reflections that can richly inform faith and life. "This series truly is for everyone who wants to grow in their understanding of the Old Testament." Tremper Longman, Professor of Old Testament, Westmont College, and author of Reading the Bible with Heart and Mind. "These down-to-earth presentations, often illuminated by contemporary images and illustrations, offer reflections that can richly inform faith and life." Terence E. Fretheim, Professor of Old Testament, Luther Seminary. I'm the author/artist and I want to review 1 & 2 Samuel for Everyone - eBook.